Home Davis Cup champions Davis Cup champions : Croatia among six seeded nations for finals. 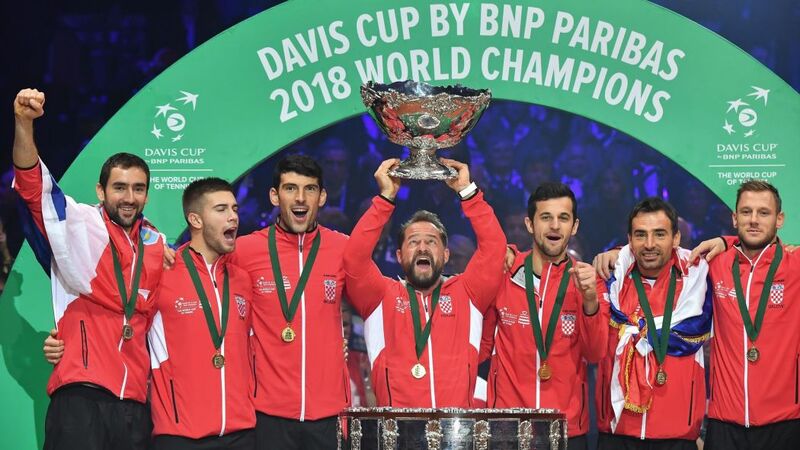 Davis Cup champions : Croatia among six seeded nations for finals. Davis Cup champions Croatia have been seeded second for the revamped 18-team finals week that will take place in Madrid in November. Last year’s runners-up France were named top seeds on Monday while Belgium and the United States were also seeded alongside wildcards Britain and Argentina. The seedings are based on the current Davis Cup Nations Ranking, with teams ranked seven to 12 – Spain, Serbia, Australia,Italy, Germany and Kazakhstan – set to be drawn into the second slot in the groups. The remaining nations ranked from 13 to 18 – Canada, Japan, Colombia, Netherlands, Russia and Chile – will be drawn into the third slot in the groups.